Patagonia... where snow-blanketed mountain peaks feed icy blue-green rivers, all seeming to harbor an untold number of trophy trout. It's where friendly faces light up the platter-laden dinner table, and stories of the day are heartily toasted well into the evening, knowing tomorrow is bound to be just as unforgettable as today. 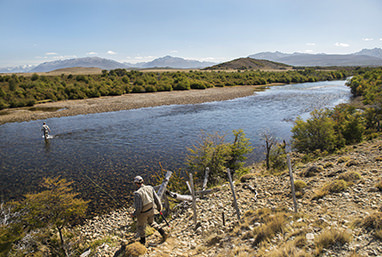 Fly fishing in Patagonia elicits strong images for those who have traveled here — as well as those who have dreamed of experiencing an Argentine fly fishing trip. 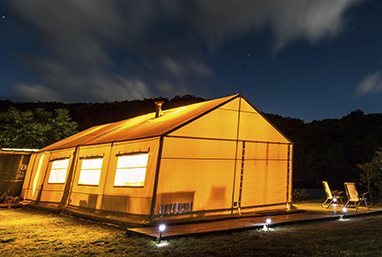 El Encuentro Fly Fishing is a family-owned lodge and custom trip planning company that specializes in arranging complete experiences that seamlessly combine the best of Argentinian fly fishing with all of the culture, color, and romance of Patagonia. Tucked away in a remote corner of Argentine Patagonia is a pristine fishery which is home to a population of wild Brook Trout the likes of which are the stuff of legends. “Early Season” – ie, November and December – offers really great fishing as well as experiences and places that are not often available during the Summer.